As the winter break approaches, and with it a much-deserved respite from required reading, it is an ideal time to start thinking about which books will fill those finite pleasure-reading days and hours. While many of us students may be tempted to use this time to finally get to the Michael Carolan or Marion Nestle we never finished, commit ourselves solely to cookbooks, or even get a jump on Spring coursework, some of the best non-required reading for food thinkers forces us to get outside of our specializations and see food and nutrition challenges from a new perspective. The following books don’t tackle food directly, but might just help you think more imaginatively about the variety of complex problems we face in food and nutrition. The nitty-gritty of policymaking dominates many conversations both inside and outside the classroom at Friedman. Occasionally, it is nice to step back and get a panoramic view of the role of government and citizenship. While battling Lou Gehrig’s disease, historian Tony Judt penned a sweeping, passionate account of how European and US political conversations shifted over the decades from a focus on ethics to the current language of efficiency. While you may not agree with Judt’s call for robust social democracy, Ill Fares the Land will inspire you to consider how you’ve developed your own political views, and will give you the language to defend them. Avoid the play-by-play handwringing of the “fiscal cliff” negotiations, and hide out in Judt’s elegant prose instead. With limited time for reading, fiction feels at best charmingly self-indulgent, and at worst, like a waste of time. Fiction offers more than escapism though – it helps us to become more empathetic, and it improves our appreciation of narrative. Cognitive psychologists argue that when we read fiction, we drop our analytical armor a bit, which ultimately allows for increased empathy and improved social skillfulness—prerequisites for success when working with a subject as personal as food. One of the most moving stories of this series, Boys Town by Jim Shepard is about a lost 30-something Iraq war veteran who moves in with his verbally abusive mother while going through a divorce. As a series of unfortunate events unfold, you are forced to ponder the environmental role in individual decision-making—who is to blame when someone isolates and self-destructs? Another highlight from this collection, Anthony Doerr’s award-winning The Deep, follows Tom, a young boy with a deadly heart condition growing up in his mother’s boarding house in Depression-era Detroit. An examination of when science and rationality clash with emotion and human desire, it’s a must read if you hope to support people in making better health decisions for themselves. For those with a fear of commitment to the full novel, this collection allows the reader to dabble in the work of various writers, ideally finding one or two to love. 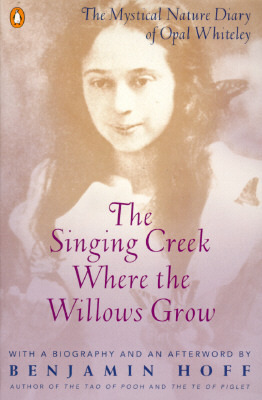 A bestseller in 1920, the childhood diary of naturalist Opal Whiteley is a highly absorbing mystery of childlike fascination. Opal describes the natural and spiritual world around her – creatures, plants and people – while growing up in an Oregon logging town in the early 1900s. The diary is full of gems like: “Potatoes are very interesting folks. I think they must see a lot of what is going on in the earth; they have so many eyes.” Disarmingly sincere, with a dreamer’s diction and a strange backstory, it is no surprise the book garnered such a strong following. Along with the quick public acclaim came questions over the credibility of the diary, and soon the controversy eclipsed the diary itself. Escapism at its finest, Opal Whiteley’s diary reignites the reader’s appreciation for nature. 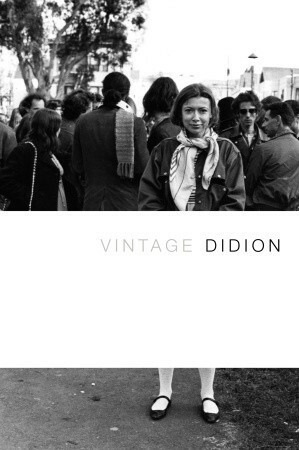 Vintage Didion is a selection of excerpts from Joan Didion’s years as a political reporter, from the Reagan White House to the September 11th aftermath. Bouncing around multiple settings, from New York to Miami to San Salvador, Didion exams how narratives are formed around political events, and how communities and cultures are defined by these events. As discussions over the strength and meaning of the “food movement” persist, close attention is called to the chasm between the complex set of facts that form reality and the appealing “story” elaborated from that reality. Vintage Didion heightens your thirst for narrative, while helping you identify when a story begins to obscure reality. Nobel Prize winner Daniel Kahneman explores the capabilities and irrationalities of human thought processes. In this book, he posits that there are two major “systems” driving our decision-making: system one is fast and intuitive, while system two is deliberative and logical. Kahneman argues that, armed with an understanding of how these two systems work together, we can work to overcome our cognitive biases. The application to the choices people make about nutrition and health behaviors is apparent, and ideas for behavior change tools abound in this book. Christina Filipovic is a second year student completing a Friedman-Fletcher dual degree in Food Policy and Applied Nutrition, and Law and Diplomacy. Being bi-coastal, she relies heavily on literary remedies for travel headaches.